Flowmaster Exhaust Accessories - Muffler Heat Shield UNIVERSAL - Pann Auto Performance - San Diego largest aftermarket automotive performance parts - What do you drive? 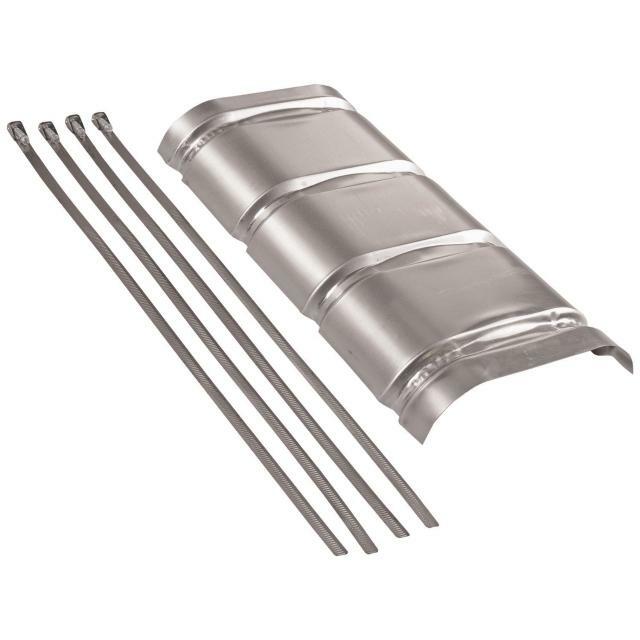 Pre-formed aluminum heat shields are designed to mount on the muffler for added protection in reducing heat radiated from mufflers and also reducing interior noice. Attaches easily included stainless steel straps.